Well, aren't we late? The Independence Day in our nation might be over, but that doesn't mean we can't celebrate it. Besides, there are still plenty of Independence Days to come for other countries. After directing the apocalyptic flick 2012, which caused a lot fuss among my classmates when we were at sixth grade, and of course, every moviegoer's most hated version of Godzilla, the literal Disaster Artist Roland Emmerich is back to doing what he does best, and that is making movies about endless destruction. 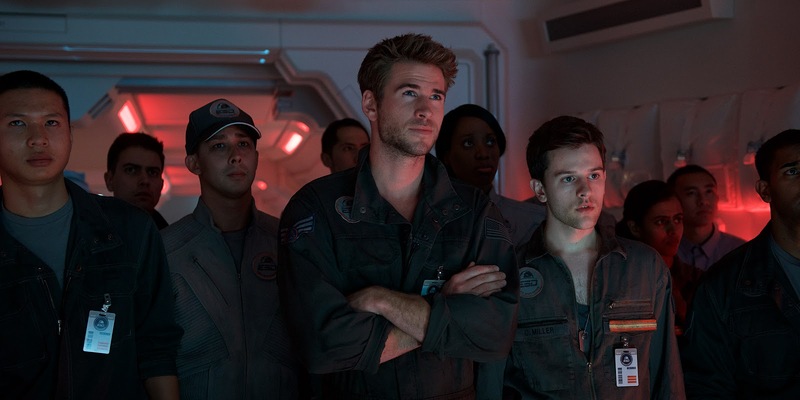 On June 22, 2016, get ready to head back to the most patriotic alien invasion movie in history with Independence Day: Resurgence. Twenty years after the first installment, they have been preparing for this day. Are you prepared? It has been many years since the aliens have ravaged Earth. 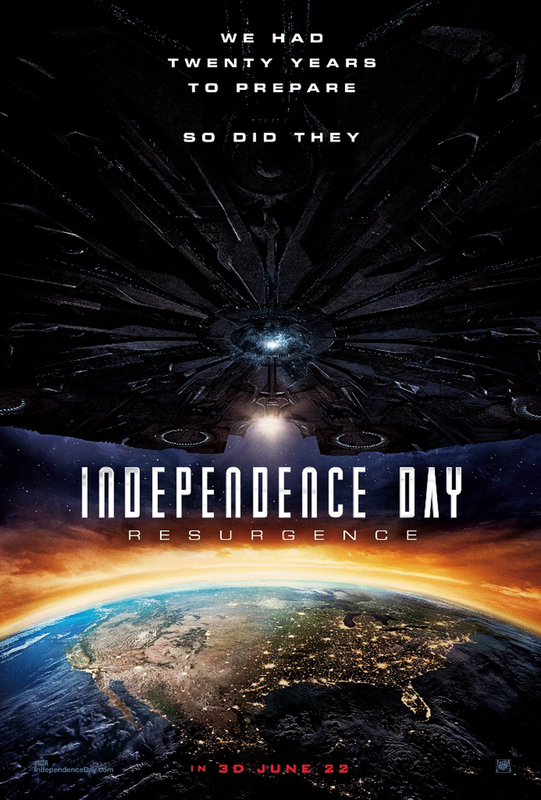 Luckily, as the previous movie showed us, nothing, not even an extraterrestrial threat can make humanity loose hope. The United Nations, with support from President Elizabeth Lanford, played by Ward (Gone Girl), are able to salvage the extraterrestrial technology to create weapons of intergalactic defense that will hopefully repel the invaders if ever they decide to come back. But someone has to handle these handy-dandy arsenals with extreme care, and the Earth Space Defense are formed just to do that. Its headquarters is the famous source of alien-based conspiracy Area 51, where a revived Dr. Brakish Okun, played by Spiner (Star Trek: The New Generation) works. Two decades after the attack, some scientists have stumbled upon a dormant spaceship which belonged to the invaders. What seemed to be nothing more than a relic of a failed attempt at global extinction turned-out to be a warning for humanity, as they soon discover that the aliens sent a distress signal to their other comrades in the far reaches of the unknown universe, and they received the message. Now that the aliens are gearing-up once more, humanity's last hope lies on these few unlikely heroes. 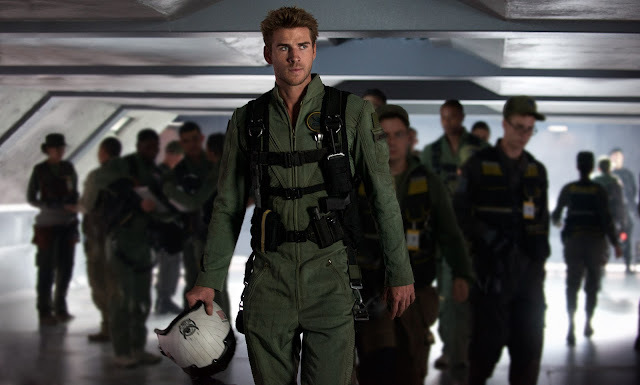 Pilot Jake Morrison, played by Hemsworth (The Hunger Games Trilogy) lost his family in the first invasion. He is the lover of Patricia Whitmore, played by Monroe (It Follows), who is also the daughter of former president Thomas Whitmore, played by Pullman (Scary Movie 4). Now, he soars through the skies in fighter jets installed with reversed-engineered laser blasters. 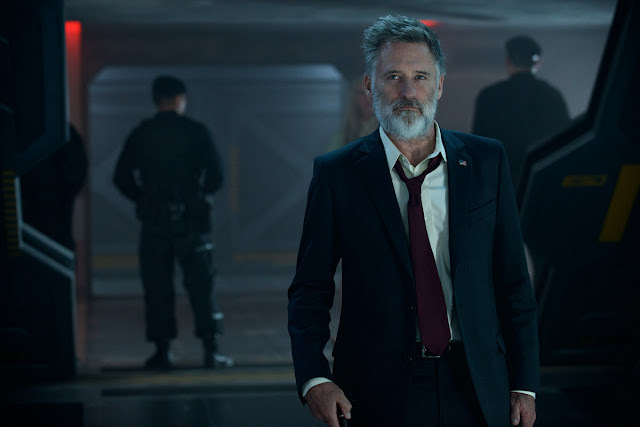 Speaking of former president Whitmore, he himself is not doing so well. Suffering from a mental disorder known as "Alien Residual Condition", brought upon by the disturbing events that unfolded years before, especially since one of the aliens psychically attacked him, Franklin becomes paranoid. He claims to have been seeing visions of the aliens' inevitable return, even adding that he knows everything that the creatures know. 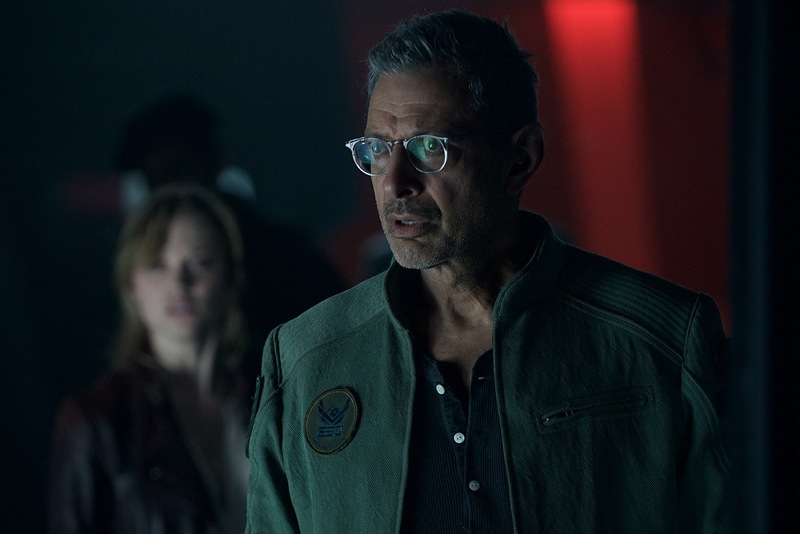 Former satellite repairman, environmental activist, chess wizard and the son of Julius Levinson, played by Hirsch (Taxi), David Levinson, played by Goldblum (The Fly) gets a promotion from his job because of his discovery of the aliens' weak spots the last time, which is referred to us the "War of 1996". He is now the acting head of Earth Space Defense, or ESD for short. Dylan Dubrow-Hiller, played by Usher (Where The Game Stands Tall) is the son of hero fighter pilot Steven Hiller, played by Will Smith (Suicide Squad), who died in an accident involving Hiller testing a prototype salvaged ship, (and former exotic dancer turned hospital manager Jasmine Dubrow-Hiller, played by Fox (Kill Bill). Dylan is now a pilot like his father, and works alongside Jack Morrison. Wait, Will Smith's character is dead? He must be busy taking care of the alien threat with the Men in Black. Together, these heroes will band together to save the world from these landmark-obsessed alien invaders with the creatures' own technology, but they must also contend with the master of the aliens themselves, as well as their deadliest weapon of all, a gravity-manipulating machine! Is it me or does that sound a little bit like the climatic battle in Man of Steel? Well, this is where we end our third consecutive press release. Up next, we would talk about the "Worst Heroes Ever" in a Spotted! .5 post, as well as an expose on a scrapped production about a certain popular character named Master Chief. Stay tuned for those! Also, we would just like to say that our thoughts and prayers are with those affected by the Orlando shooting, as well as the family and friends of Christina Grimmie. Okay, this is where we really end our post.